Nearly half of all countries emerging from civil conflict relapse into war within a few years of signing a peace agreement. The postwar trajectories of armed groups vary from organizational cohesion to dissolution, demilitarization to remilitarization. 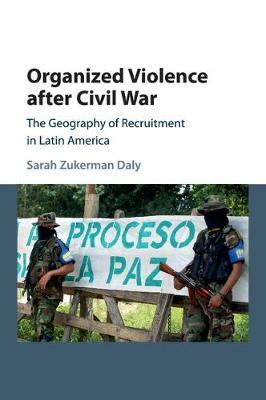 In Organized Violence after Civil War, Daly analyzes evidence from thirty-seven militia groups in Colombia, demonstrating that the primary driving force behind these changes is the variation in recruitment patterns within, and between, the warring groups. She documents the transition from war to peace through interviews with militia commanders, combatants and victims. Using rich ex-combatant survey data and geo-coded information on violence over fifty years of war, Daly explains the dynamics inside armed organizations and the strategic interactions among them. She also shows how the theory may be used beyond Colombia, both within the region of Latin America and across the rest of the world.